Hinesburg’s Official Map has been a hot topic of conversation recently, mostly as it relates to Lot 15 in Commerce Park. Should a Hannaford Supermarket be built there? Should the Town purchase the lot since it has been identified on the Official Map as a site for a “future community facility”? It may come as news that the current Official Map, adopted in May 2009, has a lot more on it than Lot 15, including the location of future sidewalks — a topic near and dear to the heart of the Trails Committee. So, we are listening to the public debate and also participating in the update of the Official Map — a process in which the Planning Commission is now engaged. Hinesburg’s Official Map indicates where future community needs, such as a park, a road or a sidewalk can be accommodated. Affected landowners are notified as the map is developed. Inclusion on the map doesn’t mean that landowners can’t develop their properties. It just means that they must also accommodate the desired community facility, or the Town can acquire the property for fair market value. 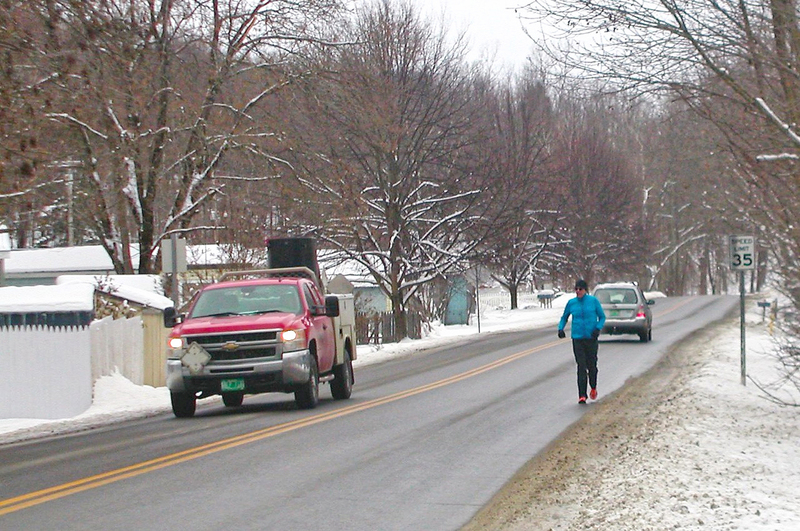 A pedestrian competes with cars for space on the Richmond Road. Photo by Jane Sheldon. 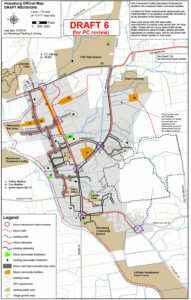 The current Official Map, and the update the Planning Commission is working on (hinesburg.org/regulations.html), shows future sidewalks along several stretches of Route 116 and elsewhere. Most of these proposed sidewalks are located within existing road rights-of-way so the greatest impediment to constructing these sidewalks is not acquiring the land but funding construction and maintenance. Some sidewalks will be constructed by developers as a condition of the permits they receive from the Town, e.g. the roads and sidewalks within the proposed Haystack Crossing Development north of Kinney Drug. But the construction of other sidewalks depicted on the Official Map will need to be paid for via our municipal budget (e.g. 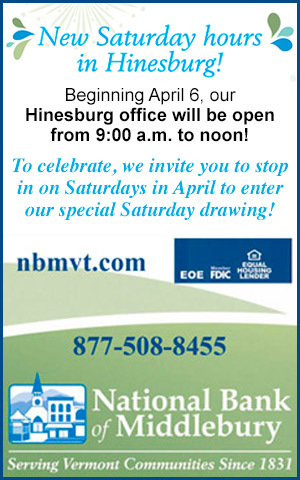 direct appropriation, bonds) and/or grants.An examination of the Official Map provides Hinesburg citizens an opportunity to consider funding priorities and timing for the many good things our community desires. 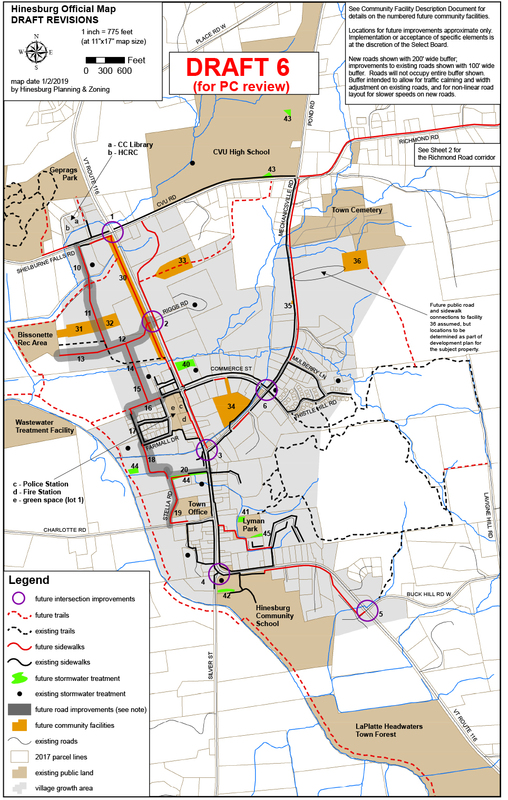 For example, the proposed 1.5-mile Richmond Road sidewalk running from CVU to North Road in the most densely inhabited part of Hinesburg, is depicted on the draft update of the Official Map. A 2016 scoping study, estimated that it would cost approximately $2.6 million to design and construct this sidewalk. 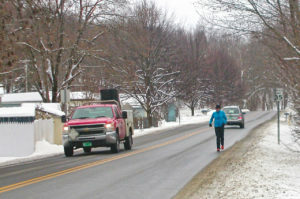 Typically, a VTRANS grant could pay 80 percent of that cost but the town would have to come up with a 20 percent cash match of about $520,000. So, where should this sidewalk, offering safety and connectivity to so many Hinesburg residents, rank on the wish list illustrated by the Official Map? And, on a lighter note, come join us at Geprags Park on Sunday, Feb. 10 from 3:30-7 p.m. for a WINTER PARTY organized by the Conservation Commission. Lots of fun activities are planned. Between 1996 and 2016, the suicide rate in Vermont increased by more than 48 percent — the second highest increase nationally according to the CDC. This rising rate of suicide, paired with the social stigma attached to mental health problems, indicates a need for safe spaces for communities to learn and talk about issues of depression, anxiety and suicidal thoughts. Recognizing these issues within their own towns, Charlotte Library and Carpenter-Carse Library (Hinesburg) have teamed up to host “Mental Health Conversations: Risk and Resiliency” during the month of February 2019. The public libraries will host two evenings of panel presentations with mental health professionals, and a separate event that features Pulitzer Prize-winning and Emmy Award-winning writer and critic Ron Powers, author of “No One Cares About Crazy People” at the Carpenter-Carse Library. The panel discussions will take place on Feb. 5 at the Charlotte Library, and Feb. 20 at the Carpenter-Carse Library. Both panel presentations start at 7 p.m. The panelists are Charlotte McCorkel, LICSW, project director of integration, Howard Center; Joanne Wolfe, MA, M.Ed, licensed psychologist; and Eliza Pillard LICSW, family wellness coach at the Vermont Center for Children, Youth and Families at the UVM Medical Center. Themes will include anxiety, depression and suicide prevention. Discussion topics will be what to look for (signs and symptoms) and how to start a conversation with a loved one. There will be time for questions and the libraries will provide online resources and a curated collection of print and video materials for browsing and borrowing. The Carpenter-Carse Library will welcome Ron Powers on Feb. 12 at 6:30 p.m. Ron Powers is New York Times best-selling author living in Vermont — he is also the author of 16 books, his most recent one, “No One Cares About Crazy People: The Chaos and Heartbreak of Mental Health in America,” offers an account of the social history of mental illness in America as well as his personal story of his two sons’ battles with schizophrenia. At the library, Ron will speak of his family’s journey with mental illness as well as his research on mental health and the health care system. Panel discussions will take place on Feb. 5 at the Charlotte Library, and Feb. 20 at the Carpenter-Carse Library. These discussions and presentations are made possible by the “All of Us” grants through the National Network of Libraries of Medicine. The Carpenter-Carse and Charlotte libraries will also receive iPads through one of the grants. The iPads will be loaded with reputable medical resources, and then circulated at the libraries so patrons can browse a wealth of mental health information privately and securely. This project is funded in part by the National Library of Medicine, National Institutes of Health, Department of Health and Human Services, under Cooperative Agreement Number UG4LM012347 with the University of Massachusetts Medical School, Worcester. The mental health conversations are part of Charlotte and Carpenter-Carse Libraries’ initiative, “Healthy Communities: Head to Toe.” Another topic the libraries will focus on is “Tick-Borne Illnesses” in April of 2019.